Sometimes its not financially viable or just not necessary to replace the whole kitchen. Just changing the worktops / doors can make a huge difference of the kitchen appearance. 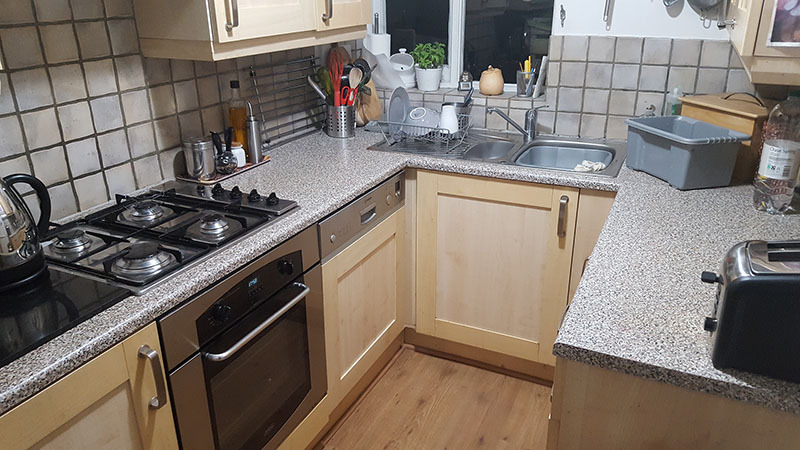 Below is an example of a worktop change I recently carried out. The customer will be painting the cupboard doors in due course. Hover your mouse over the image. In this example it was a straight change from Laminate to Laminate but you could go for Granite, Quartz, Corian or Solid Wood tops. Unit doors, drawers and plinth etc. can be changed but it gets to a point where the cost is not much different to have a new kitchen.